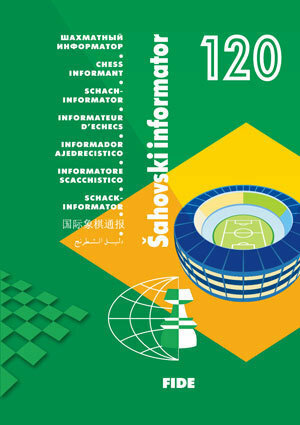 Chess Informant 120 Maracana Book: Paperback, 340 pages, English language. Our four times-a-year publication aspires to be an arena that gathers together the very best in present day chess. With the Football World Cup in Brazil only a short time away, we are even tempted to claim that the Informant is a Chess Maracanã! And with every number we aim to take another step forward and try out more innovative ideas. So...let’s tell you about some of the new authors and columnists who will be contributing to our forthcoming 120th(!) number. GM Alexander Morozevich, winner of the Poikovsky 2014 super-tournament and one of the most original and daring players on the planet, launches his Midnight in Moscow column in which he takes chess to its outer limits with examples of extreme opening play. Surrealism in chess – that’s what Alex is painting on the 64 squares of the chessboard. But this is not just pure fantasy. You will discover that you really can unleash a novelty as early as the 3rd move – even in today’s gladiatorial world of competitive chess! GM Heine Peter Nielsen was not only Magnus Carlsen’s second in last year’s world championship contest but also had formerly served as trainer to Vishy Anand! So who better to present an overview of the recent Candidates tournament in which the Tiger from Madras, against expectations, earned the right to a return title match against Carlsen later this year. His wife GM Viktoria Cmilyte serves as co-writer and adds further colour to the report. In addition, Macedonian GM Aleksandar Colovic, drawing parallels from chess history, identifies some interesting psychological factors confronting the competing players. 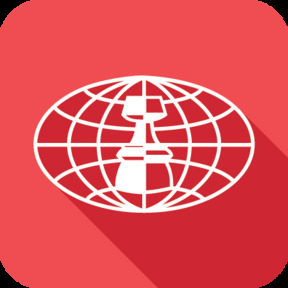 GM Ivan Sokolov also starts his own column, beginning with an elaboration of the theme of chasing the king in the early phase of the game. Here you will see some magnificent examples of romantic-style play, taken from the latest practice. Experienced GM Eduardas Rozentalis provides a master class on how to assess the right moment to exchange off into a pawn endgame. In such critical positions, the correct decision can lead to victory, the wrong choice to heartbreak... So do study this article and safeguard yourself! Endgame strategy is the specialty of German GM Karsten Mueller, who here concentrates on the necessary technique to win with two bishops against bishop and knight – which can even be equivalent to a significant material advantage. European Individual Championship (Yerevan) - exclusive annotations by the 2014 European champion GM Alexander Motylev , runner-up GM David Anton Guijarro and 4th placed GM Dragan Solak. GM Rafael Leitão, who pays tribute to a very special visitor to his native Brazil – none less than the world champion Magnus Carlsen himself. Technical material is also not neglected with GM Vassilios Kotronias presenting the second part of his comprehensive study of the 2.c3-Sicilian – making it truly a book within a book!